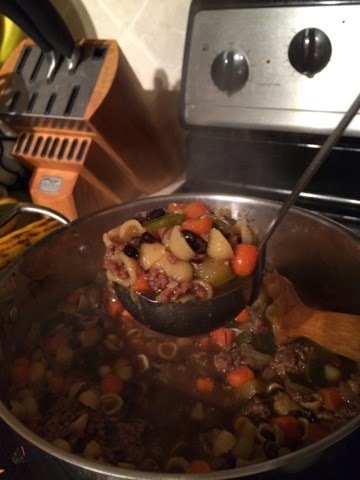 Whenever someone is sick my mom makes what she calls her kitchen sink soup. She calls it that because every time she makes it she puts everything and anything in it. Recently I have started making it to clean out the fridge of left over veggies or when someone is sick. This week Miss J had an ear infection and Pneumonia and I have a nasty cold! 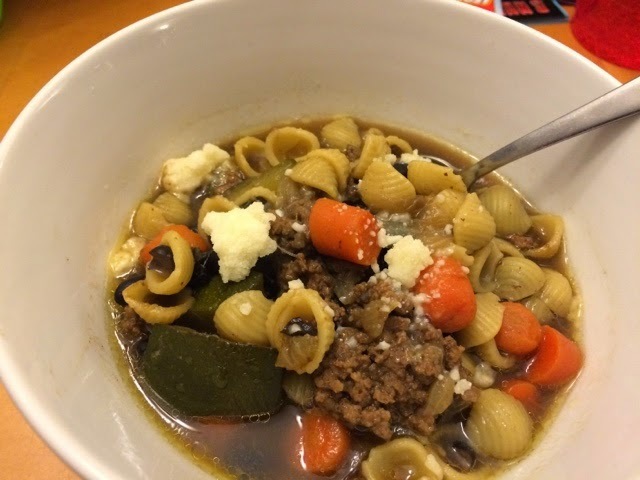 What is better on a super cold winter night then a nice big bowl of soup. 2. 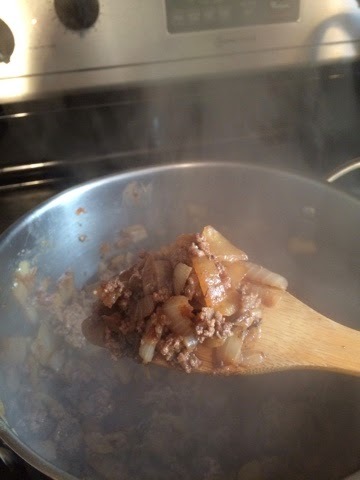 Add Ground Beef and cook till browned. Deglaze pan again. 4. Next add the beans-I drain the beans but then add a little water to get the last of the bean out of the can out and add that to the pot. 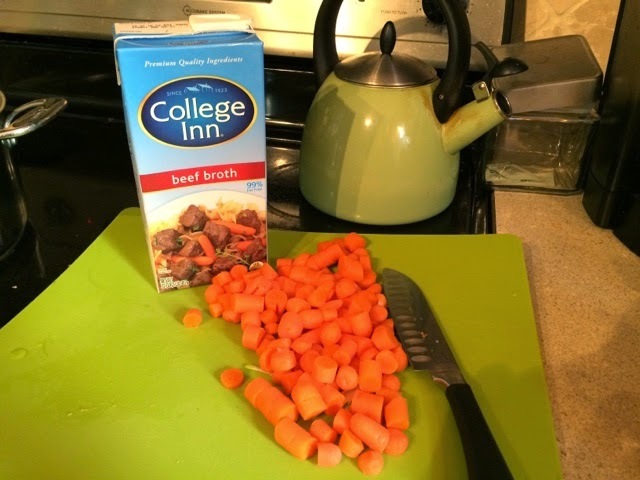 Then add the boxes of broth. 6. 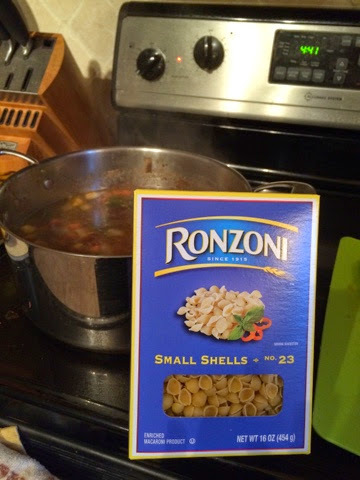 Add the pasta-I went with Shells. 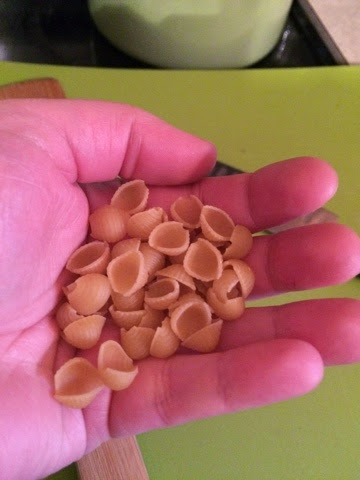 Boil till Al-Dente 8-10 minutes usually. 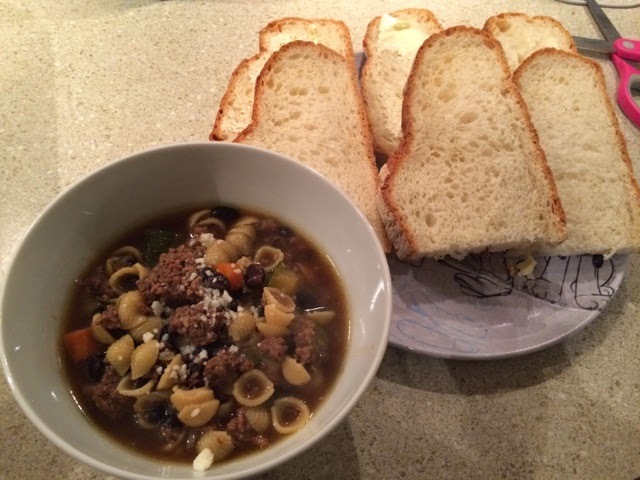 This is a soup that my kids and hubby love-I do too. It hits the spot and for those following weight watchers the pot comes in at six servings (which is huge-huge bowl) for six points each bowl. 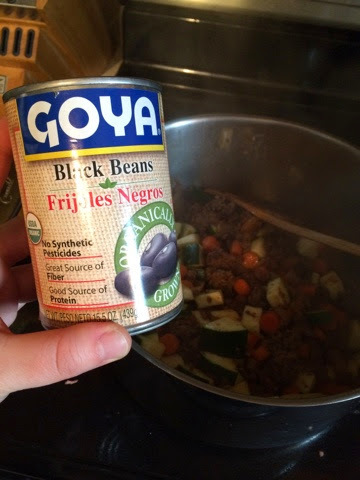 If you try the recipe let me know how you like it! 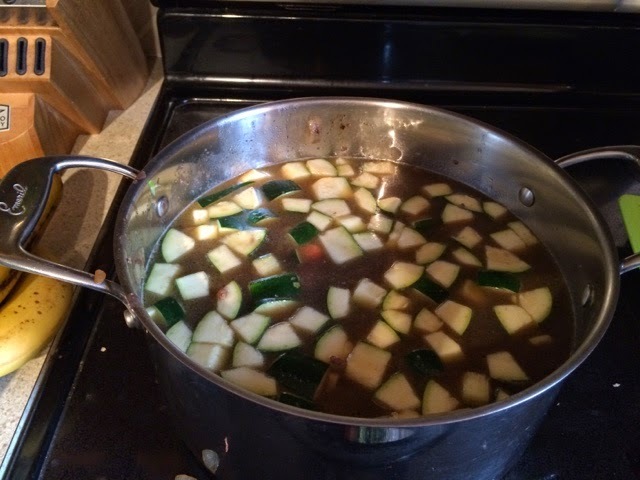 We were doing a lot of kitchen sink type soups when all of us were sick in the house. It's such a comfort food.